For most couples, separation is a difficult time when financial resources are strained and both parties are unsure about how their income and assets will be divided. With so much uncertainty and confusion around, the last thing you need is to be hit with an unexpected legal bill. At Rafton Family Lawyers we understand that legal costs are an issue for the majority of our clients. We are committed to providing our clients with an open and transparent fee structure and to keeping you informed at every step of the way so that there are no “nasty surprises”. Not only that, we offer many of our services at a fixed fee which means that you can rest assured you will only pay a certain amount. Because we know exactly what we are doing, and we don’t have the overheads of a larger firm, we can offer the best quality service and advice at very reasonable rates – guaranteeing you value for money! Your first appointment with Rafton Family Lawyers is very important. This is the time we sit down with you and listen to your story. We find out what your current family situation is, what your financial situation is, and what you would like to achieve. We then prepare a written document that provides options and advice for you on the best way to move forward with your case. 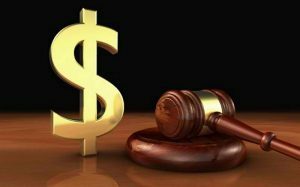 We outline how much we expect it will cost to resolve your matter and what the next step will be if you decide to use Rafton Family Lawyers. This process, including the hour of our time that we spend meeting with you, will cost you $275.00 including GST. Unlike many other law firms, at Raftons we are happy to provide an outline of the fees we charge for standard work. We know from experience that even though everybody’s personal situation is unique, many of the processes we undertake to resolve specific issues are the same for all clients. This means that we can offer set fees for certain tasks so that you know exactly what you will have to pay. Aside from the fixed fees listed above, our work is otherwise undertaken on an hourly rate basis ranging from $350 to $500 per hour plus GST.